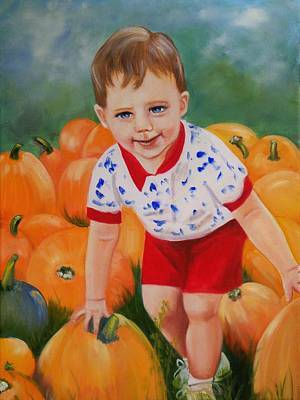 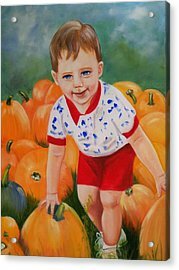 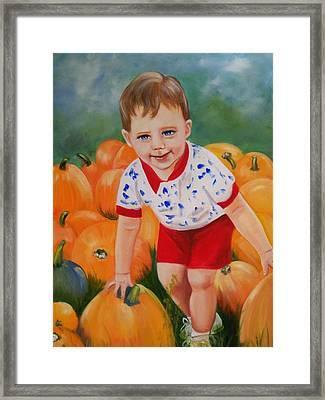 Chance With The Pumpkins is a painting by Joni McPherson which was uploaded on October 6th, 2010. Beautiful Joni. 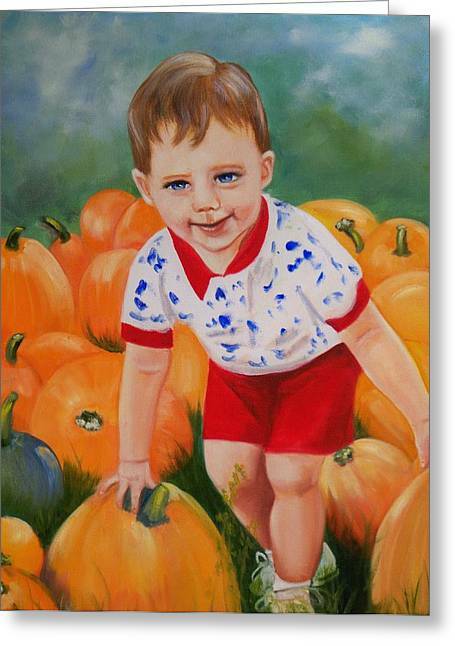 Love the eyes. I have 2 boys and I know that mischievous look when I see it!